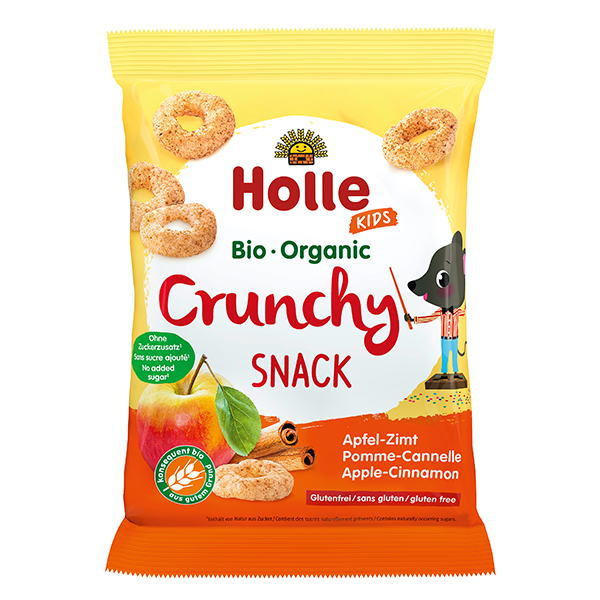 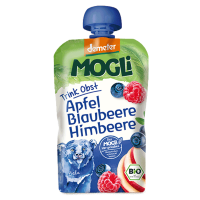 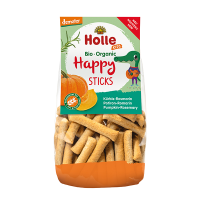 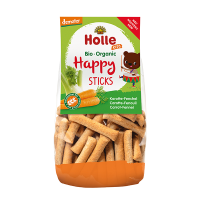 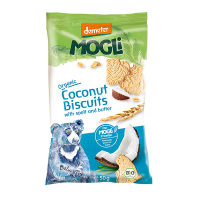 This yummy, fruity snack, made from organic rice and lentils with an apple and cinnamon flavour, is ideal as a snack between meals for adults and children. 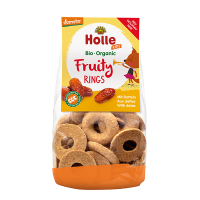 The gluten-free organic rings are fruity, light and crispy, melting on the tongue in seconds. 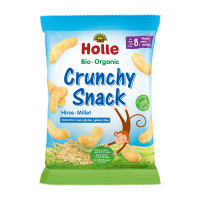 Please do not let your child chew unattended. 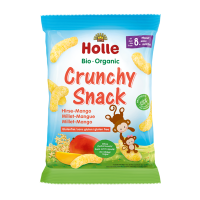 Due to risk of choking, do not let your child chew on the Crunchy Snack while lying down.